I am really starting to think seriously about lunch and snack ideas for my son as heads to school full time as a kindergartner. Eating healthy and organic meals is so important to me and sometimes it can be more work. But to me it is worth it! 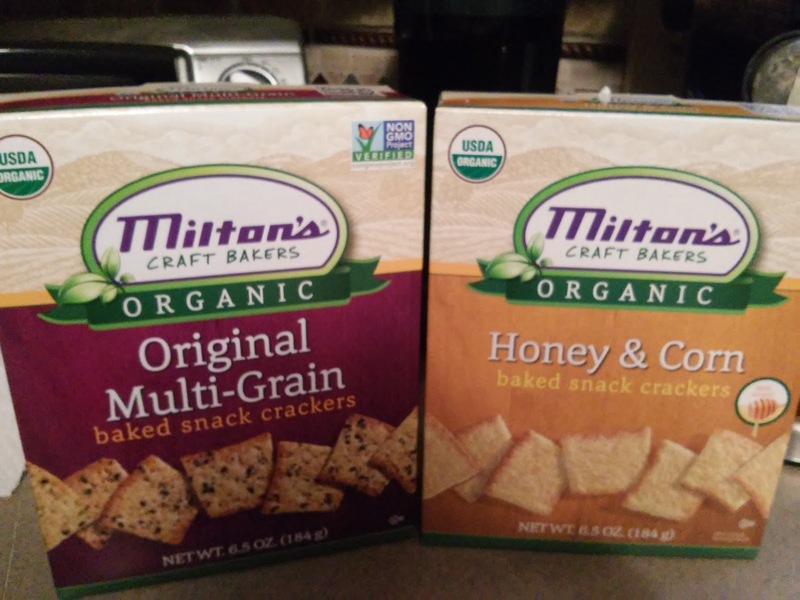 This school year, I will definitely be including Milton’s Craft Bakers' line of wholesome and delicious organic crackers in my son's house (and snacking on them as well!). These crackers are USDA Organic Certified and Non GMO Project Verified - two very important things to me! Plus, they contain No Saturated Fat or Cholesterol and No Preservatives AND are enclosed in Environmentally Friendly Product Packaging! Plus, they taste great! I enjoyed these crackers with slices of cheese and I will be sending them with my son with hummus, cheese or just alone! We love the great crunch and flavor! Plus, Milton's Craft Bakers also offers Gluten-Free crackers! You won’t believe these crackers are gluten-free and they are available in four irresistible flavors: Cheddar Cheese, Everything, Multi-Grain and Crispy Sea Salt. With 12 to 16 grams of whole grains and only 130 calories per serving, they make a great snack option for kids. Baked and never fried, the crackers are peanut and nut free, have no high fru ctose corn syrup or trans fat. Parents can send their little ones off to school with a bag of crispy crackers and pair with their favorite dips, like hummus or cream cheese, for the perfect snack. And for dessert, definitely turn to their Gluten Free Cookies! These are so delicious - I don't even know if I can choose a favorite variety! They were all so soft and chewy, sweet and delicious! I highly recommend! So this year, when you are planning your healthy snacks (and desserts!) 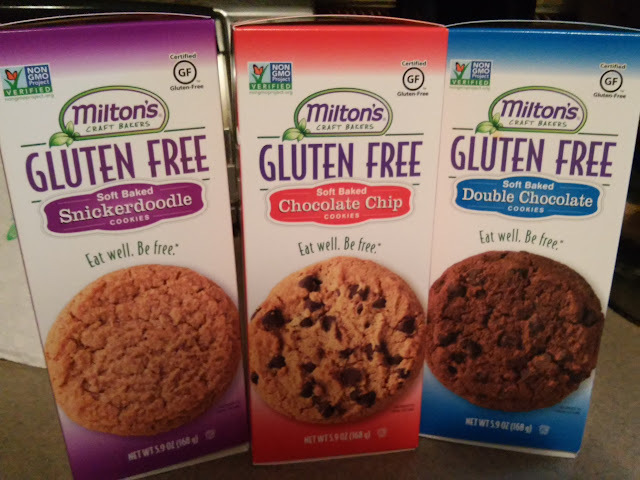 for school lunches, look no further than Milton's Craft Bakers and their line of organic and gluten free crackers and cookies! They are delicious and a brand you can trust! 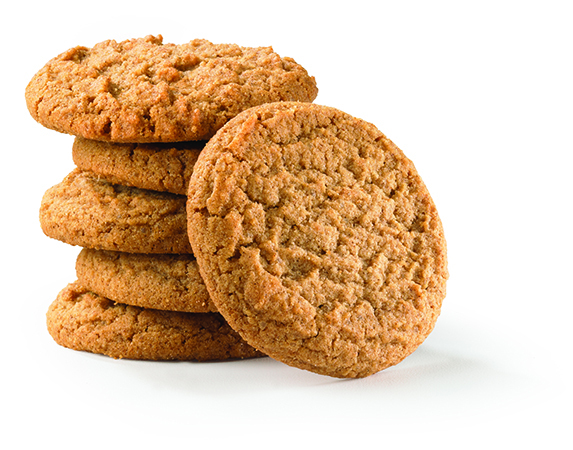 You can purchase Milton's Craft Bakers products at a retail location near you! Milton's Craft Bakers is generously offering (1) 4-pack of gluten-free crackers in a variety of flavors to a lucky winner!